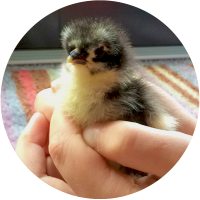 There are a variety of chores which need to be carried out either on your chickens, their coop or the run at various times throughout the year. Now that there’s more daylight and the weather is getting warmer, it’s a good idea to give the coop a thorough clean and disinfect. Replace wooden perches and spray every inch of the coop with a product like Poultry Shield (found on most poultry supply websites and livestock stores). If you have a permanently situated run, it may look like a mud bath due to the winter weather so it’s good to cordon off areas to allow the grass to grow and recover. Check and repair any damage to the fences or perimeter. If you have a wooden coop it could benefit from a coat of wood stain to maintain your coops weatherproof-ness. If you have electric wire running around the perimeter of the run, the grass tends to grow at a phenomenal rate during the summer months resulting in loss of power in the electric fence due to being in contact of the grass. During the summer months its a regular chore of strimming the grass around the fence line. My chickens tend to take more dust baths at this time of year, probably to keep cool but also parasites must love the warm and dry months so make sure they have an area where they can bathe. My chooks tend to find and make their own dust baths but if you want to avoid craters appearing in your garden, a deep tray filled with a mixture of sand and dry soil is equally good. Just place it in a dry part of the run / garden where it won’t get wet. I sometimes add a dusting of diatomaceous earth to the dust baths to help fight against lice and mites. You should begin to prepare for the winter months so check the condition of the coop to ensure it is weatherproof. With it becoming wetter during this period, check the condition of your chickens feet to make sure there are no signs of bumblefoot occurring etc. This can be an unsettling time for chickens particularly if you live in a built up area where the setting off of fireworks doesn’t just occur on one night. If you hear fireworks going off nearby it may be a good idea to lock your chooks away in their coop if they haven’t already scurried off to take cover! 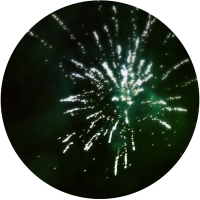 If you or your neighbours plan on setting fireworks off and the chickens and their coop are within close range, it may be a good idea to put your chooks in a spacious and sturdy cardboard box with some bedding and air holes and take them into the house where there is less noise. With the risk of frost you need to ensure that the chooks drink supply never freezes. On frosty mornings fill the drinkers up with hot water. Apparently garlic cloves chopped in half can help prevent the water from freezing too. Also poultry with big combs are susceptible to frost-bite and a good application of Vaseline to their red bits occasionally helps to prevent this. 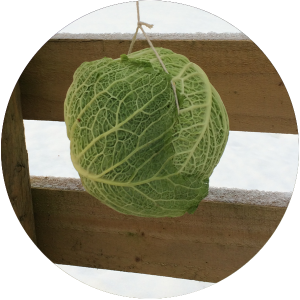 As the green lush grass will mostly be frosty, it’s good practice to offer some tasty green treats for your chickens by hanging up some leafy greens for them to peck at. For periods where it’s below freezing, a small bowl of warm porridge in the morning for the chickens will help keep them warm and offer some slow releasing carbs to set them up for the day. You can also add some of their pellets or layers mash in too. Chickens can withstand temperatures of up to -20 degrees. In the rare event that it does drop to that temperature and below, take a look at the condition of your chooks and decide whether it’s best to bring them into a warmer environment. Placing them in a box with bedding and plenty of ventilation and bringing them into say a garage (avoid rooms where strong fumes can accumulate) or a conservatory will keep the worst of the cold away and protect your chickens.